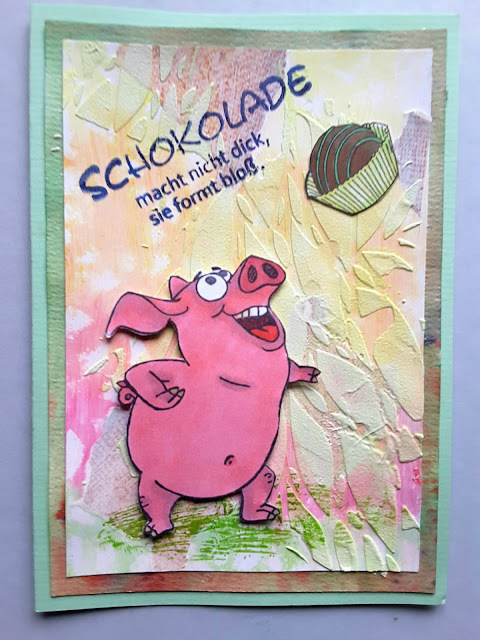 Da habe ich mal ein bisschen mit verschiedenen Materialien gespielt und dann kam das dabei heraus . 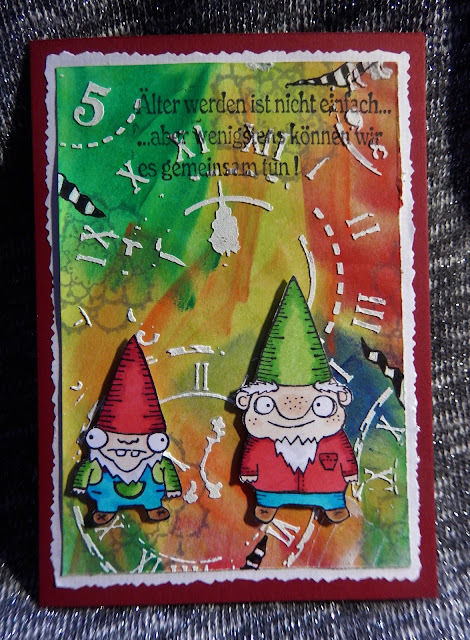 I played with different materials and came out with this. 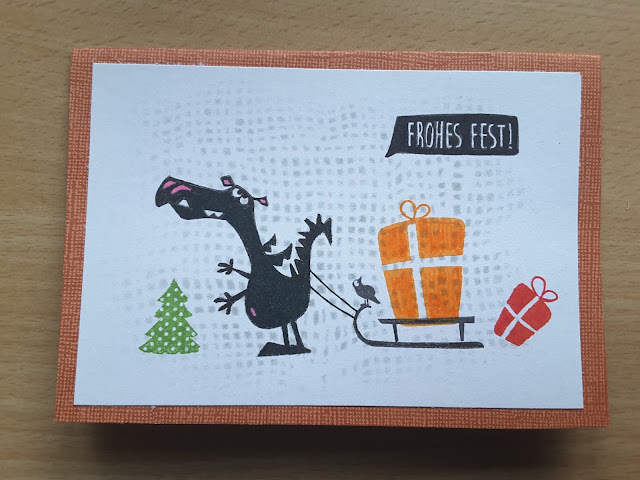 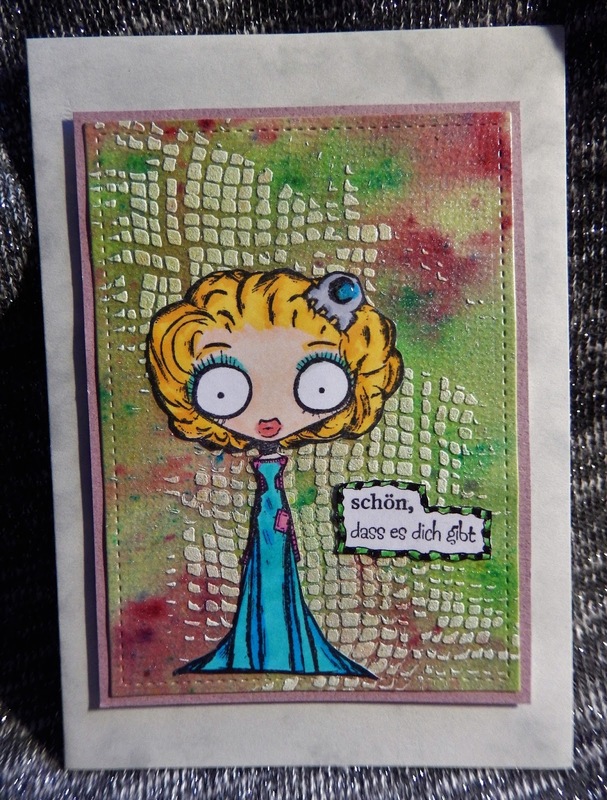 Heute mal eine Karte im Mixed-Media-Stil. 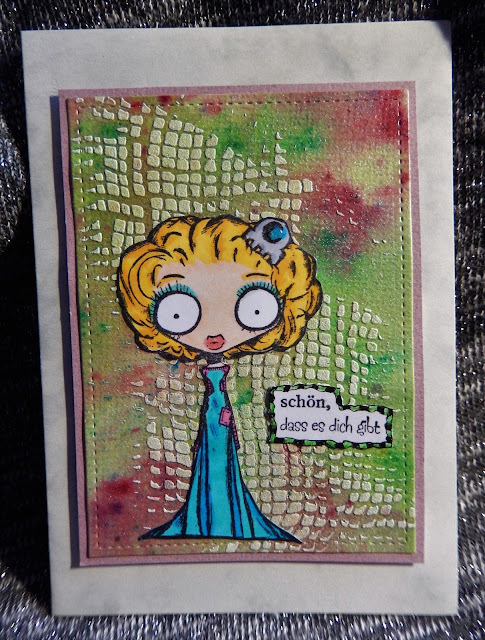 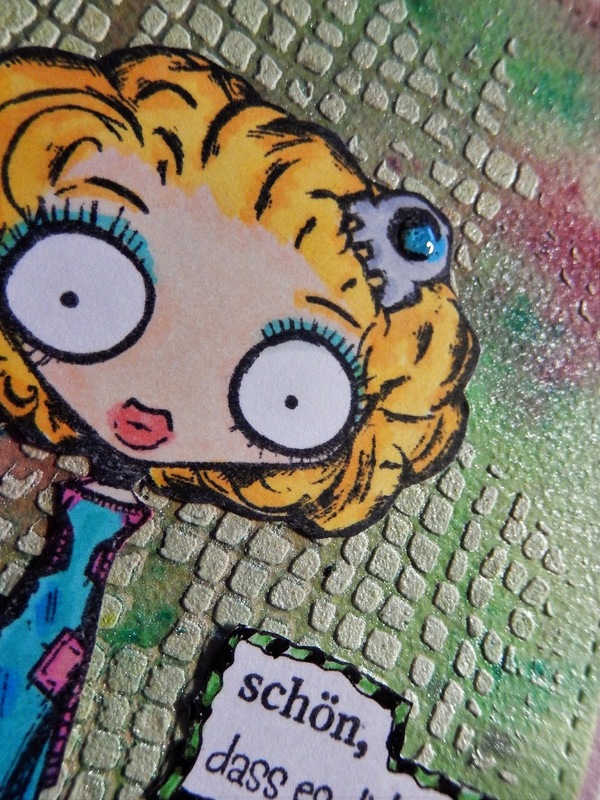 Today I´ll show you a mixed media card. 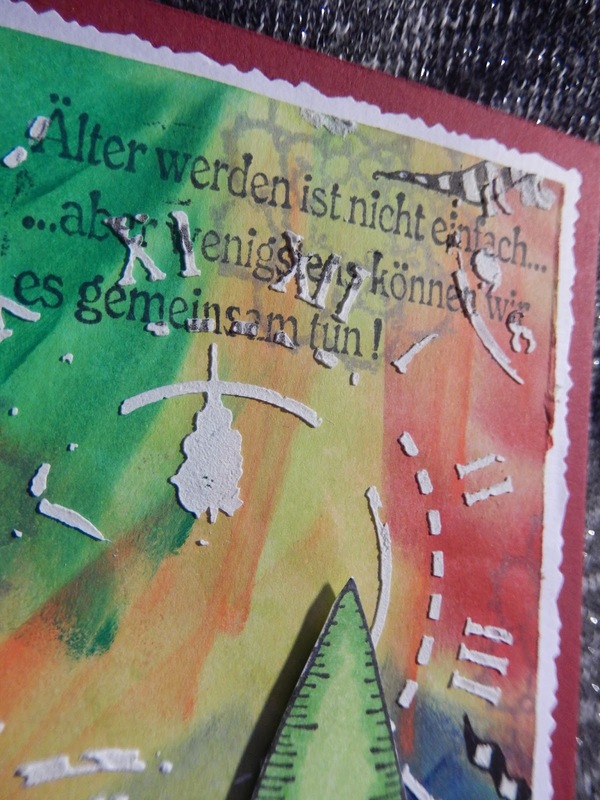 If you don't want to become busy with making cards at Christmas, it's the best to make them step by step before.